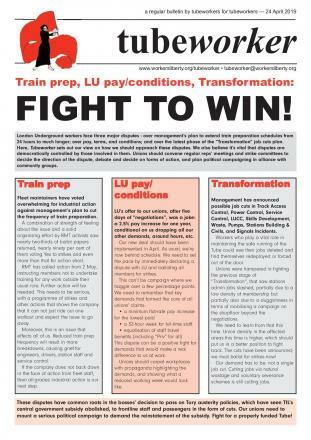 Read more about Tubeworker — 24/04/2019: Fight to Win! 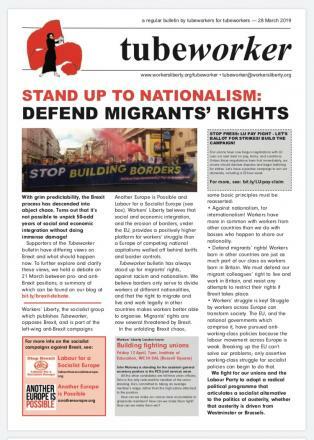 Read more about Tubeworker — 28/03/2019: Stand up to Nationalism, Defend Migrants' Rights! 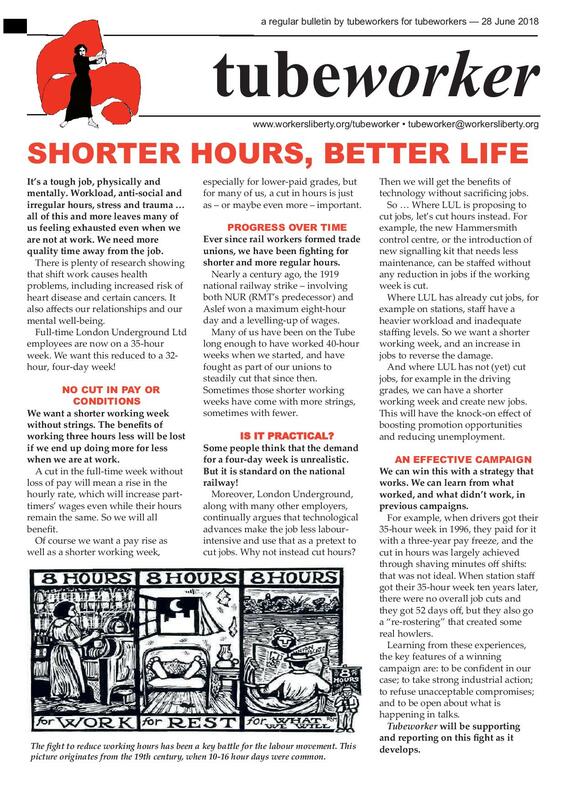 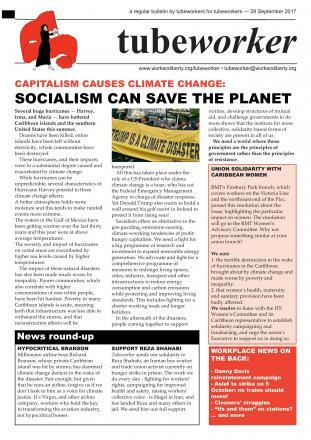 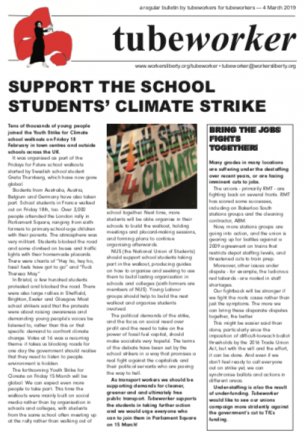 Read more about Tubeworker — 04/03/2019: Support the School Students' Climate Strike! 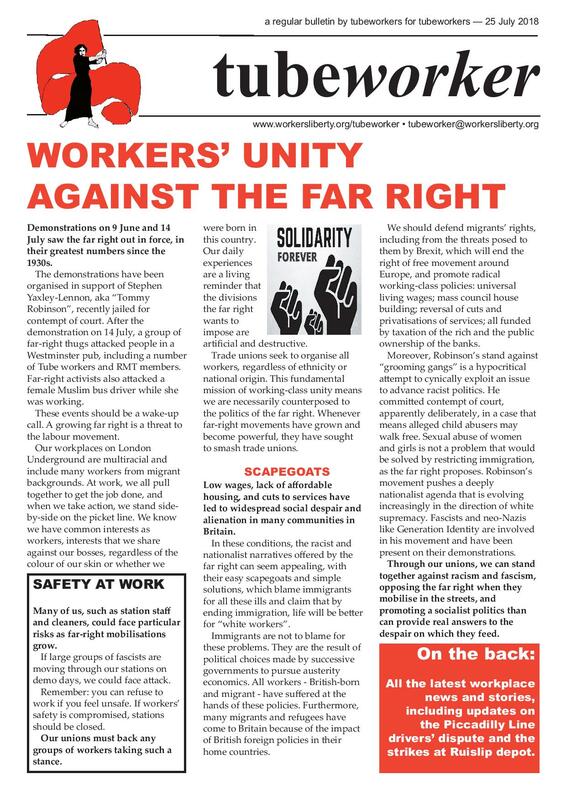 Read more about Tubeworker — 26/09/2018: Vote Michelle Rodgers! 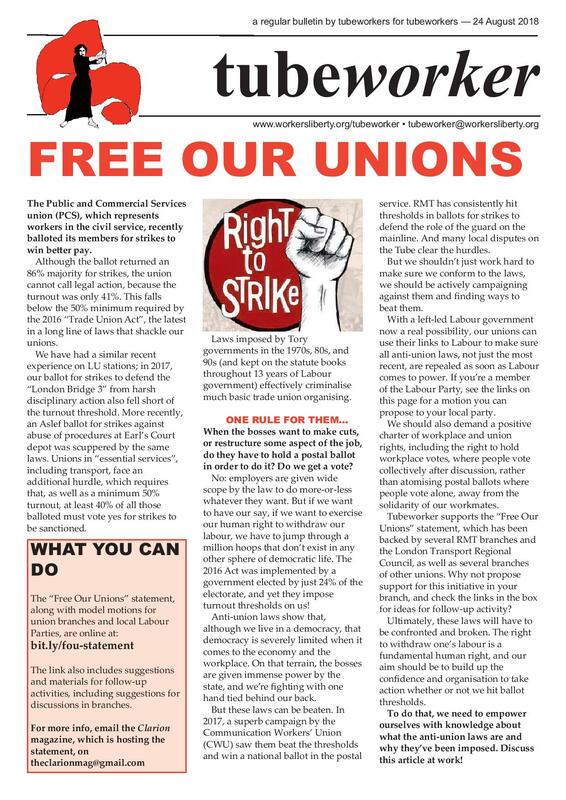 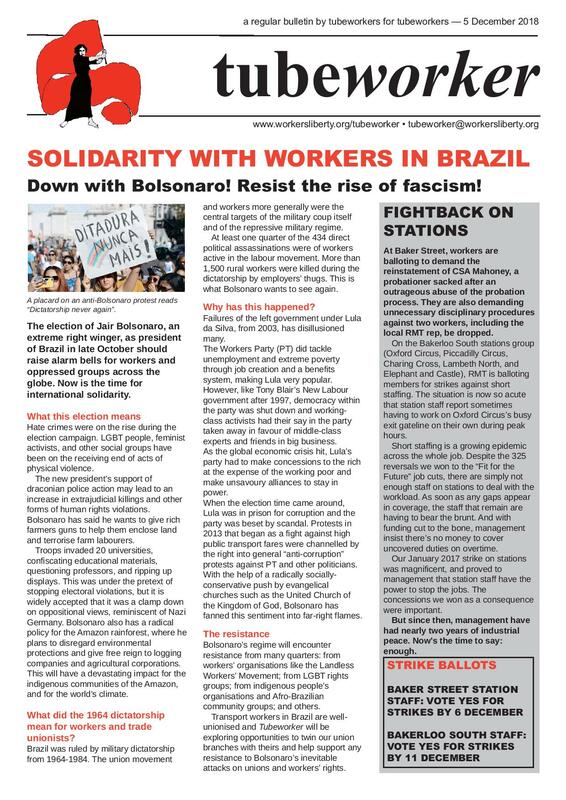 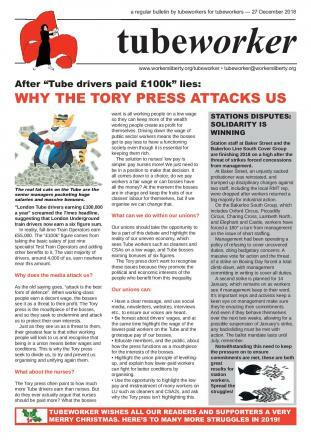 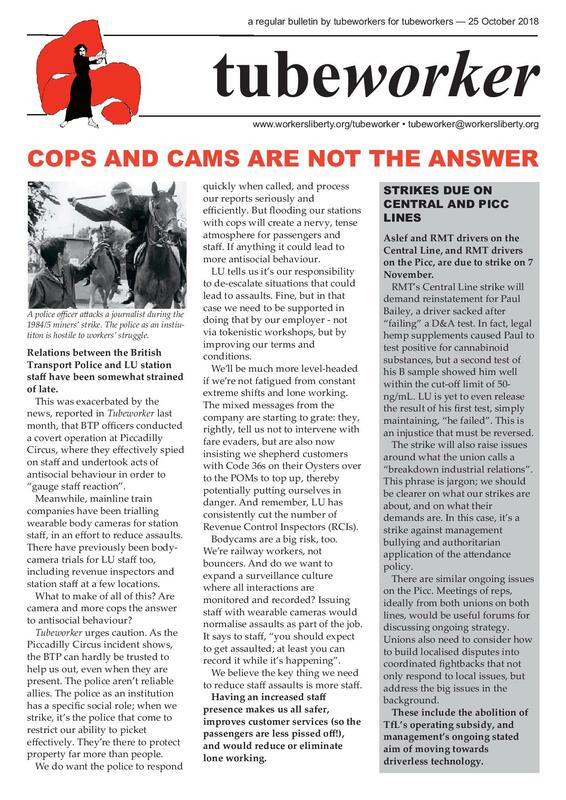 Read more about Tubeworker — 24/08/2018: Free Our Unions!